We all live in a world of people addicted to smartphones. Unfortunately, some people are so engulfed in their mobile devices they won’t put them away when they get behind the wheel of a car. 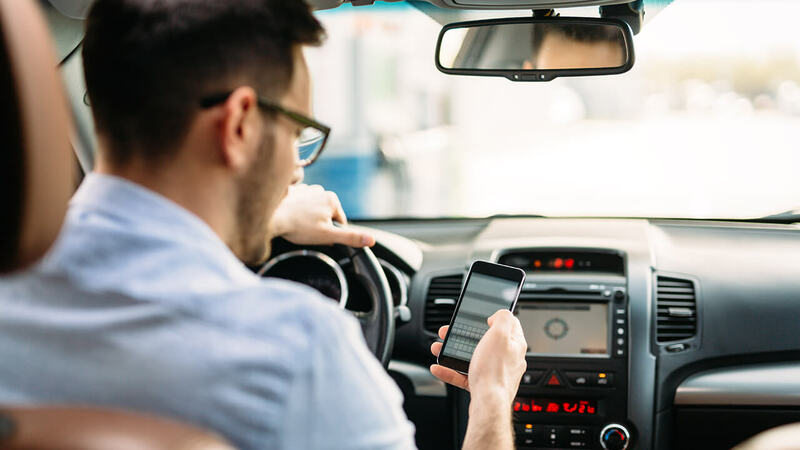 Traveling at 60 miles per hour and looking down at a phone text for even three seconds means taking their eyes off the road for more than 260 feet — nearly the length of a football field. Sadly, texting while driving has now overtaken drunk driving as the leading cause of motor vehicle accidents on American roads today, resulting in serious injuries and devastating losses of life. If you were injured because another driver — or the driver of the vehicle you were riding in — was texting while driving in central Alabama, you need and deserve legal help. Call Lloyd & Hogan in Birmingham. Although we cannot change what happened, we can help mitigate the financial stress many injured victims and their families encounter from such accidents. We are Lloyd & Hogan, and we represent individuals who have sustained injuries in devastating car accidents that have resulted from texting while driving and other distracted driving activities. At Lloyd & Hogan, we have decades of experience handling car accident collisions involving texting and distracted driving. We have in-depth knowledge of the law and the procedures involved in obtaining full and fair compensation. We have established good working relationships with many parties — including insurance adjusters and medical professionals — often associated with litigation involving motor vehicle accidents. Such experience has allowed us to develop efficient methods, saving precious time for our clients so that they may receive the compensation they deserve faster. If you need quality legal counsel and representation to seek compensation for your injuries, contact us at 205-969-6235 or online to schedule an appointment.